An Act to regulate certain payments, dealings in foreign exchange and securities and the import and export of currency and bullion. 1. (1) This Act may be called the Foreign Exchange Regulation Act, 1947. (2) It extends to the whole of Bangladesh and applies to all citizens of Bangladesh and persons in the service of the Republic wherever they may be. (3) It shall come into force on such date as the Government may, by notification in the official Gazette, appoint in this behalf. (m) “Transfer” includes, in relation to any security, transfer by way of loan or security. 3. (1) The Bangladesh Bank may, on application made to it in this behalf, authorize any person to deal in foreign exchange. (iii) May be granted to be effective for a specified period, or within specified amounts, and may in all cases be revoked for reasons appearing to it sufficient by the Bangladesh Bank. 4. Except with the previous general or special permission of the Bangladesh Bank, no person other than an authorized dealer shall in Bangladesh and no person resident in Bangladesh other than an authorized dealer shall outside Bangladesh, buy or borrow from, or sell or lend to, or exchange with, any person not being an authorized dealer, any foreign exchange. 5. The Government may, by notification in the official Gazette, impose such conditions as it thinks necessary or expedient on the use or disposal of or dealings in gold and silver prior to, or at the time of, import into Bangladesh. 12. (1) The Government may, by notification in the official Gazette, prohibit the export of any goods or class of goods specified in the notification from Bangladesh directly or indirectly to any place so specified unless a declaration supported by such evidence as may be prescribed or so specified is furnished by the exporter to the prescribed authority that the amount representing the full export value of the goods has been or will within the prescribed period be, paid in the prescribed manner. (2) No person entitled to sell, or procure the sale of, said goods shall, except with the permission of the Bangladesh Bank. (5) Where in relation to any such goods the value as stated in the invoice is less than the amount which in the opinion of the Bangladesh Bank represents the full export value of those goods, the Bangladesh Bank may issue an order requiring the person holding the shipping documents to retain possession thereof until such time as the exporter of the goods has made arrangements for the Bangladesh Bank or a person authorized by the Bangladesh Bank to receive on behalf of the exporter payment in the prescribed manner of an amount which represents in the opinion of the Bangladesh Bank the full export value of the goods. 15. The Government may, by notification in the official Gazette, order that except with the general or special permission of the Bangladesh Bank no person shall in Bangladesh issue any bearer security or coupon or so alter any document that it becomes bearer security or coupon. 17. (1) No person resident in Bangladesh shall, except with the general or special permission of the Bangladesh Bank, settle any property, otherwise than by will upon any trust under which a person who at the time of the settlement is resident outside Bangladesh elsewhere than in territories notified in this behalf by the Bangladesh Bank, will have an interest in the property or exercise, other than by will, any power for payment in favors of a person who at the time of the exercise of the power is resident outside Bangladesh elsewhere than in such notified territories. (2) A settlement or power as aforesaid shall not be invalid except in so far as it confers any right or benefit on any person who at the time of the settlement or the exercise of the power is resident outside Bangladesh, elsewhere than in territories notified by the Bangladesh Bank. 18. (1) Except with the general or special permission of the Bangladesh Bank, no person resident in Bangladesh shall do any act whereby a company, which is controlled by person resident in Bangladesh ceases to be so controlled. (2) Except with the general or special permission of the Bangladesh Bank, no person resident in Bangladesh shall lend any money or security to any company, not being a banking company which is by any means controlled, whether directly or indirectly by persons resident outside Bangladesh elsewhere than in the territories notified in this behalf by the Bangladesh Bank. In this sub-section “company” includes a firm, branch or office of a company or firm. 21. (1) No person shall enter into any contract or agreement which would directly or indirectly evade or avoid in any way the operation of any provision of this Act or of any rule, direction or order made there under. (2) Any provision of, or having effect under this Act, that a thing shall not be done without the permission of the Government or the Bangladesh Bank, shall not render invalid any agreement by any person to do that thing, if it is a term of the agreement that that thing shall not be done unless permission is granted by the Government. (c) for the purpose of considering whether or not to grant such permission, the Government or the Bangladesh Bank, as the case may be, may require the person entitled to the benefit of the judgement or order and the debtor under the judgments or order to produce such documents and to give such information as may be specified in the requirement. (4) Notwithstanding anything in the Negotiable Instruments Act, 1881 neither the provisions of this Act or of any rule, direction or order made there under, nor any condition, whether express or to be implied having regard to those provisions, that any payment shall not be made without permission under this Act, shall be deemed to prevent any instrument being a bill of exchange or promissory note. 22. No person shall, when complying with any order or direction, under section 19, or when making any application or declaration to any authority or person for any purpose under this Act, give any information or make any statement which he knows or has reasonable cause to believe to be false, or not true, in any material particular. 23. Penalty and Procedure: (1) Whenever Contravenes, attempts to contravene or abets the contravention of any of the provisions of this Act or of any rules, direction or order made there under shall not -withstanding anything contained in the Code of Criminal Procedure, 1898 (Act V of 1898) be tried by a Tribunal constituted by Section 23A and shall be punishable with imprisonment for a term which may extend to four years or with fine or with both and any such Tribunal trying any such contravention. (2) Notwithstanding anything contained in the Code of Criminal Procedure, 1898 (Act V of 1898), any offence punishable under this section shall be cognizable for such period as the Government may from time to time, by notification in the Official Gazette, declare. (3) A tribunal shall not take cognizance of any offence punishable under this section and not declared by the Government under the preceding sub-section to be cognizable for the time being or of an offence punishable under section 54 of the Income-tax Act, 1922 (XI of 1922), as applied by section 19, except upon complaint in writing made by a person authorized by the Government or the Bangladesh Bank in this behalf. Provided that where any such offence is the contravention of any of the provisions of this Act or of any rule. (4) Where the person guilty of an offence under this Act is a company or other body corporate, every Director, Manager, Secretary and other officer thereof who is knowingly a party to the offence shall also be guilty of the same offence and liable to the same punishment. 23. A. Tribunal, its powers, etc: (1) Every Sessions Judge shall, for the areas within the territorial limits of his jurisdiction be a Tribunal for trial of an offence punishable under section 23. (2) A Tribunal may transfer any case for trial to an Additional Sessions Judge within its jurisdiction who shall, for trying a case so transferred, be deemed to be a Tribunal constituted for the purpose. (e) Ordering the release of the accused on bail. Sentences in the Code of Criminal Procedure, 1898 (Act V of 1898) shall, so far as may be, apply to orders and sentences passed by a Tribunal. (5) As regards sentences of fine, the powers of a Tribunal shall be as extensive as those of a Court of Session. (6) The Bangladesh Bank or any other person aggrieved by judgments of a Tribunal may, within three months from the date of the judgments, appeal to the High Court Division. (7) Save as provided in the preceding sub-section, all judgements and orders passed by a Tribunal shall be final. 24. (1) where any person is tried for contravening any provision of this Act or of any rule, direction or order made there under which prohibits him from doing any Act without permission, the burden of proving that he had the requisite permission shall be on him. (2) 1f in a case in which the proof of complicity of a person resident in Bangladesh with a person outside Bangladesh is essential to prove an offence under this Act, then after proof of the circumstances otherwise sufficient to establish the commission of the offence, it shall be presumed that there was such complicity, and the burden of proving that there was no such complicity shall be on the person accused of the offence. 25. For the purposes of this Act the Government may from time to time give to the Bangladesh Bank such general or special directions as it thinks fit, and the Bangladesh Bank shall, in the exercise of its functions under this Act, comply with any such directions. 26. No suit, prosecution or other legal proceedings shall lie against any person for anything in good faith done or intended to be done under this Act or any rule, direction or order made thereunder. 27. The Government may, by notification in the official Gazette, make rules for carrying into effect the provisions of this Act. The Uniform Customs and Practice for Documentary Credits, 2007 Revision, ICC Publication no. 600 (“UCP”) are rules that apply to any documentary credit (“credit”) (including, to the extent to which they may be applicable, any standby letter of credit) when the text of the credit expressly indicates that it is subject to these rules. They are binding on all parties thereto unless expressly modified or excluded by the credit. Banking day means a day on which a bank is regularly open at the place at which an act subject to these rules is to be performed. Beneficiary means the party in whose favors a credit is issued. Confirmation means a definite undertaking of the confirming bank, in addition to that of the issuing bank, to honor or negotiate a complying presentation. Confirming bank means the bank that adds its confirmation to a credit upon the issuing bank’s authorization or request. c. to accept a bill of exchange (“draft”) drawn by the beneficiary and pay at maturity if the credit is available by acceptance. Where applicable, words in the singular include the plural and in the plural include the singular. A credit is irrevocable even if there is no indication to that effect. A requirement for a document to be legalized, visited, certified or similar will be satisfied by any signature, mark, stamp or label on the document which appears to satisfy that requirement. Branches of a bank in different countries are considered to be separate banks. Terms such as “first class”, “well known”, “qualified”, “independent”, “official”, “competent” or “local” used to describe the issuer of a document allow any issuer except the beneficiary to issue that document. Unless required to be used in a document, words such as “prompt”, “immediately” or “as soon as possible” will be disregarded. The expression “on or about” or similar will be interpreted as a stipulation that an event is to occur during a period of five calendar days before until five calendar days after the specified date, both start and end dates included. The words “to”, “until”, “till”, “from” and “between” when used to determine a period of shipment include the date or dates mentioned, and the words “before” and “after” exclude the date mentioned. The words “from” and “after” when used to determine a maturity date exclude the date mentioned. The terms “first half” and “second half” of a month shall be construed respectively as the 1st to the 15th and the 16th to the last day of the month, all dates inclusive. The terms “beginning”, “middle” and “end” of a month shall be construed respectively as the 1st to the10th, the 11th to the 20th and the 21st to the last day of the month, all dates inclusive. a. A credit by its nature is a separate transaction from the sale or other contract on which it may be based. Banks are in no way concerned with or bound by such contract, even if any reference whatsoever to it is included in the credit. A beneficiary can in no case avail itself of the contractual relationships existing between banks or between the applicant and the issuing bank. a. A credit must state the bank with which it is available or whether it is available with any bank. A credit available with a nominated bank is also available with the issuing bank. Deemed to be an expiry date for presentation. e. A presentation by or on behalf of the beneficiary must be made on or before the expiry date. b. An issuing bank is irrevocably bound to honor as of the time it issues the credit. c. An issuing bank’s undertaking to reimburse a nominated bank is independent of the issuing bank’s undertaking to the beneficiary. v. negotiation with another nominated bank and that nominated bank does not negotiate. c. A confirming bank undertakes to reimburse another nominated bank that has honored or negotiated a complying presentation and forwarded the documents to the confirming bank. a. A credit and any amendment may be advised to a beneficiary through an advising bank. An advising bank that is not a confirming bank advises the credit and any amendment without any undertaking to honor or negotiate. f. If a bank is requested to advise a credit or amendment but cannot satisfy itself as to the apparent authenticity of the credit, the amendment or the advice, it must so inform, without delay, the bank from which the instructions appear to have been received. a. Except as otherwise provided by article 38, a credit can neither be amended nor cancelled without the agreement of the issuing bank, the confirming bank, if any, and the beneficiary. b. An issuing bank is irrevocably bound by an amendment as of the time it issues the amendment. A confirming bank may extend its confirmation to an amendment and will be irrevocably bound as of the time it advises the amendment. c. The terms and conditions of the original credit (or a credit incorporating previously accepted amendments) will remain in force for the beneficiary until the beneficiary communicates its acceptance of the amendment to the bank that advised such amendment. d. A bank that advises an amendment should inform the bank from which it received the amendment of any notification of acceptance or rejection. e. Partial acceptance of an amendment is not allowed and will be deemed to be notification of rejection of the amendment. f. A provision in an amendment to the effect that the amendment shall enter into force unless rejected by the beneficiary within a certain time shall be disregarded. a. If a credit states that reimbursement is to be obtained by a nominated bank (“claiming bank”) claiming on another party (“reimbursing bank”), the credit must state if the reimbursement is subject to the ICC rules for bank-to-bank reimbursements in effect on the date of issuance of the credit. b. An issuing bank must provide a reimbursing bank with a reimbursement authorization that conforms with the availability stated in the credit. The reimbursement authorization should not be subject to an expiry date. b. A nominated bank acting on its nomination, a confirming bank, if any, and the issuing bank shall each have a maximum of five banking days following the day of presentation to determine if a presentation is complying. c. A presentation including one or more original transport documents must be made by or on behalf of the beneficiary not later than 21 calendar days after the date of shipment as described in these rules, but in any event not later than the expiry date of the credit. d. Data in a document, when read in context with the credit, the document itself and international standard banking practice, need not be identical to, but must not conflict with, data in that document, any other stipulated document or the credit. b. A bank shall treat as an original any document bearing an apparently original signature, mark, stamp, or label of the issuer of the document; unless the document itself indicates that it is not an original. d. If a credit requires presentation of multiple documents by using terms such as “in duplicate”, “in two fold” or “in two copies”, this will be satisfied by the presentation of at least one original and the remaining number in copies, except when the document itself indicates otherwise. b. A nominated bank acting on its nomination, a confirming bank, if any, or the issuing bank may accept a commercial invoice issued for an amount in excess of the amount permitted by the credit, and its decision will be binding upon all parties, provided the bank in question has not honored or negotiated for an amount in excess of that permitted by the credit. c. The description of the goods, services or performance in a commercial invoice must correspond with that appearing in the credit. – An on board notation indicating the date on which the goods have been shipped on board. v. contain terms and conditions of carriage or make reference to another source containing the terms and conditions of carriage. b. For the purpose of this article, transshipment means unloading from one vessel and reloading to another vessel during the carriage from the port of loading to the port of discharge stated in the credit. c. i. A bill of lading may indicate that the goods will or may be transshipped provided that the entire carriage is covered by one and the same bill of lading. – a named agent for or on behalf of the carrier. iii. Indicate the date of issuance. This date will be deemed to be the date of shipment unless the air transport document contains a specific notation of the actual date of shipment. b. For the purpose of this article, transshipment means unloading from one aircraft and reloading to another aircraft during the carriage from the airport of departure to the airport of destination stated in the credit. c. i. An air transport document may indicate that the goods will or may be transshipped, provided that the entire carriage is covered by one and the same air transport document. ii. An air transport document indicating that transshipment will or may take place is acceptable, even if the credit prohibits transshipment. ii. Indicate the date of shipment or the date the goods have been received for shipment, dispatch or carriage at the place stated in the credit. b. i. A road transport document must appear to be the original for consignor or shipper or bear no marking indicating for whom the document has been prepared. ii. A rail transport document marked “duplicate” will be accepted as an original. c. i. A road, rail or inland waterway transport document may indicate that the goods will or may be transshipped provided that the entire carriage is covered by one and the same transport document. ii. A road, rail or inland waterway transport document indicating that transshipment will or may take place is acceptable, even if the credit prohibits transshipment. b. A transport document bearing a clause such as “shipper’s load and count” and “said by shipper to contain” is acceptable. a. An insurance document, such as an insurance policy, an insurance certificate or a declaration under an open cover, must appear to be issued and signed by an insurance company, an underwriter or their agents or their proxies. Any signature by an agent or proxy must indicate whether the agent or proxy has signed for or on behalf of the insurance company or underwriter. f. i.The insurance document must indicate the amount of insurance coverage and be in the same currency as the credit. g. A credit should state the type of insurance required and, if any, the additional risks to be covered. An insurance document will be accepted without regard to any risks that are not covered if the credit uses imprecise terms such as “usual risks” or “customary risks”. h. When a credit requires insurance against “all risks” and an insurance document is presented containing any “all risks” notation or clause, whether or not bearing the heading “all risks”, the insurance document will be accepted without regard to any risks stated to be excluded. d. A credit may be transferred in part to more than one second beneficiary provided partial drawing or shipments are allowed. A transferred credit cannot be transferred at the request of a second beneficiary to any subsequent beneficiary. The first beneficiary is not considered to be a subsequent beneficiary. The INCOTERMS (International Commercial Terms) is a universally recognized set of definitions of international trade terms, such as FOB, CFR and CIF, developed by the International Chamber of Commerce (ICC) in Paris, France. It defines the trade contract responsibilities and liabilities between buyer and seller. It is invaluable and a cost-saving tool. The INCOTERMS was first published in 1936—INCOTERMS 1936—and it is revised periodically to keep up with changes in the international trade needs. The complete definition of each term is available from the current publication—INCOTERMS 2000. The publication is available at your local Chamber of Commerce affiliated with the International Chamber of Commerce (ICC). Ex means from. Works means factory, mill or warehouse, which is the seller’s premises. EXW applies to goods available only at the seller’s premises. Buyer is responsible for loading the goods on truck or container at the seller’s premises, and for the subsequent costs and risks. The delivery of goods on truck, rail car or container at the specified point (depot) of departure, which is usually the seller’s premises, or a named railroad station or a named cargo terminal or into the custody of the carrier, at seller’s expense. Buyer is responsible for the main carriage/freight, cargo insurance and other costs and risks. In the air shipment, technically speaking, goods placed in the custody of an air carrier are considered as delivery on board the plane. In practice, many importers and exporters still use the term FOB in the air shipment. Some manufacturers may use the former terms FOT (Free On Truck) and FOR (Free On Rail) in selling to export-traders. In the export quotation, indicate the port of origin (loading) after the acronym FAS, for example FAS New York and FAS Bremen. The FAS term is popular in the break-bulk shipments and with the importing countries using their own vessels. The delivery of goods on board the vessel at the named port of origin (loading), at seller’s expense. Buyer is responsible for the main carriage/freight, cargo insurance and other costs and risks. The delivery of goods to the named place of destination (discharge) at seller’s expense. Buyer assumes the cargo insurance, import customs clearance, payment of customs duties and taxes, and other costs and risks. In the export quotation, indicate the place of destination (discharge) after the acronym CPT, for example CPT Los Angeles and CPT Osaka. The delivery of goods to the specified point at the frontier at seller’s expense. Buyer is responsible for the import customs clearance, payment of customs duties and taxes, and other costs and risks. In the export quotation, indicate the point at frontier (discharge) after the acronym DAF, for example DAF Buffalo and DAF Well and. The delivery of goods on board the vessel at the named port of destination (discharge), at seller’s expense. Buyer assumes the unloading fee, import customs clearance, payment of customs duties and taxes, cargo insurance, and other costs and risks. The delivery of goods to the quay (the port) at destination at seller’s expense. Seller is responsible for the import customs clearance and payment of customs duties and taxes at the buyer’s end. Buyer assumes the cargo insurance and other costs and risks. The delivery of goods and the cargo insurance to the final point at destination, which is often the project site or buyer’s premises, at seller’s expense. Buyer assumes the import customs clearance and payment of customs duties and taxes. The seller may opt not to insure the goods at his/her own risks. In the export quotation, indicate the point of destination (discharge) after the acronym DDU, for example DDU La Paz and DDU Ndjamena. The seller is responsible for most of the expenses, which include the cargo insurance, import customs clearance, and payment of customs duties and taxes at the buyer’s end, and the delivery of goods to the final point at destination, which is often the project site or buyer’s premises. The seller may opt not to insure the goods at his/her own risks. International commercial terms or Incoterms are a series of sales terms that are used by businesses throughout the world. Incoterms are used to make international trade easier. They are used to divide transaction costs and responsibilities between buyer and seller. Incoterms were introduced in 1936 and they have been updated six times to reflect the developments in international trade. The latest revisions are sometimes referred to as Incoterms 2000. Incoterms are 13 standardized definitions of commonly used shipping and trade terms that cover issues such as control of goods and financial responsibilities such as payment of cargo insurance and freight. Incoterms provide traders with a common set of rules outlining each party’s obligations, thus reducing misunderstandings. 08/04/09 FEID Circular Letter No. 01: Sending necessary information/documents to Foreign Exchange Investment Department for getting Permission/Renewal/Inclusion under Section 18A & 18B of Foreign Exchange Regulation Act, 1947. 07/05/09 FEID Circular Letter No. 02: Sending necessary information/documents to Foreign Exchange Investment Department for getting Permission/Renewal/Inclusion under Section 18A & 18B of Foreign Exchange Regulation Act, 1947. 07/09/2009 ACSPD Circular Letter No. 07: Submission of Statement relating to Agricultural Credit Disbursement for Effective Monitoring of Agricultural/Rural Credit Activities of the Fiscal Year 2009-10. 14/07/2009 ACSPD Circular No. 05: Fresh Agri-loan Facilities for Rehabilitation of Agriculture Sector in Cyclone ‘Aila’ Affected Areas. 17/08/2009 DOS Circular Letter No. 14 : Office hours and Transactions period of Banks during the Holy Ramadan. ♣ Deposits are the heart of running banking activities but Jamuna Bank’s Deposit growth is not good enough to meet the growing demand of credits of current market. One of the main reasons behind this low deposit volume is the lower deposit rate than other commercial banks. ♣ JBL has lack of proper training arrangements for it’s employees. As a result, employees are not comfortable enough to use new technologies. Most of the employees are not familiar with the new banking tools & software. ♣ JBL faces difficulties with those clients who have not enough knowledge in banking transactions and banking rules. ♣ JBL generally follows the policy of risk averse, in today’s world all other organizations are moving in approach of risk taking. As a result JBL is facing tuff competition from other commercial bank those are risk takers. ♣ Lack of new product developments; such as student loan, medical loan, marriage loan is another backdrop for JBL. ♣ the rate of interest is quite high for various types of credits. In many cases productivity of investment may inadequate that leads the borrower to become incapable of repaying loan. ♣ Bank should attach special attention in supervising and monitoring the loan cases, which have already been scheduled. When a borrower has already been proved to be vulnerable, he needs to be specially censored for the better interest of not only the bank but also the customer. ♣ Jamuna Bank has insufficiencies of Authorized Dealer Branch in respect of the total foreign business of the country. Bank has only nine branches with AD licenses. 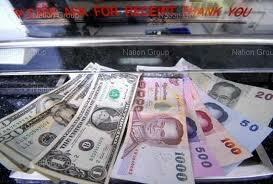 As a result in total foreign exchange business is has a very small market share. ♣ Pre-shipment inspection certificate should obtain from the exporter of back to back L/C. In case of import against master export L/C, but all the time this pre-shipment inspection certificate are not wanted by the bank. ♣ In foreign exchange department, JBL facing problem to deal with unknown customers. ♣ Skilled personnel should be recruited for the banks and professionalism should get priority. ♣ The branch manager should ensure proper distribution of works responsibility among personnel and strictly monitor the activities of officers to ensure efficient service to their valuable clients. ♣ JBL Should expand its technology based banking in respect to the customers’ demand. JBL should develop effective online banking system to compete with other commercial banks. ♣ Each complain form customers should be noticed and efforts should be made to properly address those. ♣ In order to face the challenge increasing demand for various consumer & commercial loans of current credit market JBL should come up with more new loan products like: Leasing, Apartment loan, Marriage loan etc. ♣ To combat the problem of mobilizing deposit in the form of credit, JBL should focus on intensive marketing effort. ♣ The Bank should re-calculate its lending rate on a periodic basis to cope up with changing lending scenario. ♣ Borrower selection is the key to successful lending, JBL should focus on the selection of true borrower. But at the same time it must be taken into account that right borrower selection does not mean that JBL has to adopt conservative lending policy but rather it means that compliance with the KYC or Know Your Customer to ascertain the true purpose of the loan. ♣ Bangladesh Bank should have minimum interference on foreign trade to facilitate them to run their business independently. ♣ Foreign Exchange Department should be managed efficient and intelligent officials. It should be an exclusive department with promising career path for its members. Officers of this department should not be transferred to other departments. Man behind the desk is equally important in a well-knit and efficient system. So, personnel placed in foreign exchange department should have of extra-ordinary quality and integrity. ♣ JBL should be more careful to deal with both known and unknown customers. ♣ Government should take guard against policy of waiver especially foreign exchange department. To compete in the environment of advancing technology and faster communication JBL should depend more heavily on the quality service and information technology. No doubt about it that JBL has achieved a superior position in our banking industry but to cope with customer JBL should think how to make it services proactive. Compared with other Banks JBL also contributes more of their funds in fruitful projects or development sectors of our country. JBL try to satisfy its customers in various ways. Depositors and borrowers are the primary customers for all banks. JBL strives for a customer-oriented banking culture, with prudent lending and attractive deposit schemes. JBL aims at maintaining the high quality of services it has already achieved, at the same time being in a sound financial health. The study mainly focus the nature and extent of a particular department of JBL, i.e. export-import financing. The authorized dealer must motivate the importer to import Raw materials, Fabrics, Accessories, Chemicals, Vegetable Fat etc. JBL acts as a media for the system of foreign exchange policy. Imports or exports are motivated by the JBL to the foreign exchange business, particularly to open the letter of credit. To provide International Trade related services JBL has established Correspondent Banking relationship with 336 locations of 106 world reputed Banks in more than 100 countries. Jamuna Bank Ltd. is committed to Boost up the export position and diminishes the import position, rising of Gross Domestic Product (GDP) maximizing the national growth & abolishing the unemployment percent of the educated sector of nation.